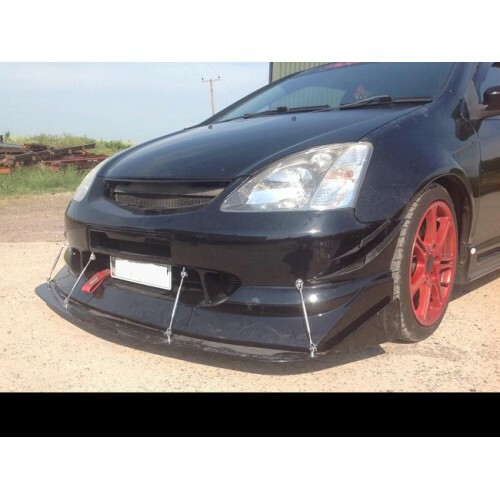 FiberWorx own FX universal front splitter, with built in winglets, manufactured in high quality fibreglass with a gel coat finish (colours may vary from that pictured). Adjustable tie-bars are not supplied and will be required to fit the splitter. Universal fitment, the splitter can be custom made to fit your particular vehicle. Please let us know what vehicle you are purchasing for at the time of ordering. Maximum dimensions: 242cm (l) x 122cm (w) Please note, this item is made to customers specifications.